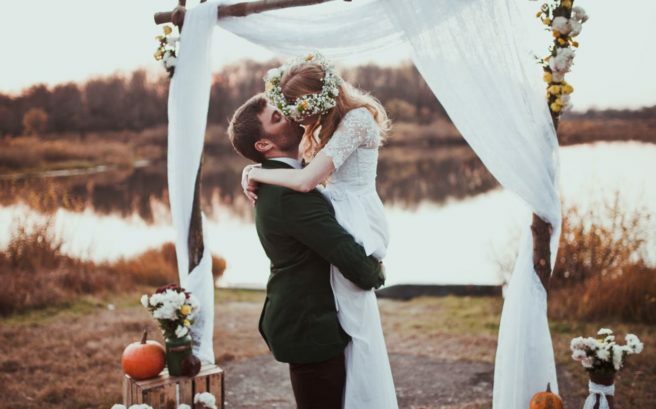 It’s time to say goodbye to these ‘overdone’ wedding trends | SHEmazing! Remember the good old days when brides just rocked up to the church in a car? Yeah we've forgotten too – cue the helicopters, donkeys and balloons. “We are all for breaking tradition, like the growing trend of brides walking themselves down the aisle (as eight per cent of UK brides did in 2017), but maybe save the dinosaurs for the amusement park,” he said.